Zoisite: Mineral information, data and localities. Originally named saualpite for the locality Saualpe in Carinthia, Austria, where it occurs in eclogites. The name zoisite was introduced by A.G. Werner in 1805 to honour Sigmund Zois, Baron von Edelstein (1747-1819), Austrian scholar who financed mineral-collecting expeditions. It was from Baron Zois that Werner obtained the holotype specimen from Saualpe (found by mineral dealer Simon Prešern in 1804). Formerly assigned to the Epidote Group. 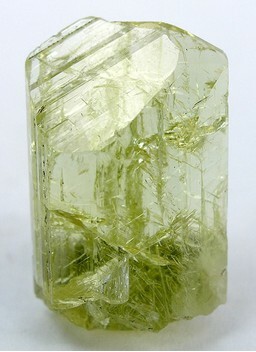 Since Zoisite is the orthorhombic polymorph of Clinozoisite, zoisite is no longer considered a member of this group, according to the new nomenclature of the Epidote Supergroup (Armbruster et al., 2006; Mills et al., 2009). Visit gemdat.org for gemological information about Zoisite. Chrome-Zoisite A Cr-bearing variety of Zoisite. Pseudozoisite A zoisite with anomalous optical properties. Tanzanite A gem variety of zoisite with a blue to blue-violet colour. The colour is due to the incorporation of trace amounts of vanadium cations (V4+ absorption band increased at 380 nm, V3+ absorption band at 350nm decreased with heating). Thulite A pink variety of zoisite, frequently manganian, i.e. containing trivalent Mn (not manganoan, which refers to divalent Mn). Originally described from Kleppan, Sauland, Hjartdal, Telemark, Norway. Ruby 47 photos of Zoisite associated with Ruby on mindat.org. Pargasite 41 photos of Zoisite associated with Pargasite on mindat.org. Calcite 14 photos of Zoisite associated with Calcite on mindat.org. Actinolite 13 photos of Zoisite associated with Actinolite on mindat.org. Quartz 9 photos of Zoisite associated with Quartz on mindat.org. Adularia 8 photos of Zoisite associated with Adularia on mindat.org. Prehnite 7 photos of Zoisite associated with Prehnite on mindat.org. Corundum 5 photos of Zoisite associated with Corundum on mindat.org. Tschermakite 5 photos of Zoisite associated with Tschermakite on mindat.org. Diopside 4 photos of Zoisite associated with Diopside on mindat.org. Jameson R. (1804) A system of mineralogy, Edinburgh. 2, 597. Klaproth, M.H. (1807) Untersuchung des Zoisits von der Saualpe, Beiträge zur chemischen Kenntniss der Mineralkörper, Vierter Band, Rottmann Berlin, 179-185. Maaskant, P. (1985) The Iron Content and the Optic Axial Angle in Zoisites from Galicia, NW Spain. Mineralogical Magazine: 49: 97. Schmidt, M.W., Poli, S. (1994) The stability of lawsonite and zoisite at high pressures: experiments in CASH to 92 kbar and implications for the presence of hydrous phases in subducted lithosphere. Earth and Planetary Science Letters: 124: 105-118. Pawley, A.R., Redfern, S.A.T., Holland, T.J.B. (1996) Volume behavior of hydrous minerals at high pressures and temperatures: 1. Thermal expansion of lawsonite, zoisite, clinozoisite, and diaspore. American Mineralogist: 81: 335-340. Grevel, K.-D., Nowlan, E.U., Fasshauer, D.W., Burchard, M. (2000) In situ X-ray diffraction investigation of lawsonite and zoisite at high pressures and temperatures. American Mineralogist: 85: 206-216. Armbruster, T., Bonazzi, P., Akasaka, M., Bermanec, V., Chopin, C., Gieré R., Heuss-Assbichler, S., Liebscher, A., Menchetti, S., Pan, Y., Pasero, M. (2006) Recommended nomenclature of epidote-group minerals. European Journal of Mineralogy: 18: 551-567. The following Zoisite specimens are currently listed for sale on minfind.com. Ahmad, M. & Munson, T. J. (compilers) (2013) Geology and mineral resources of the Northern Territory. Northern Territory Geological Survey, Special Publication 5 (Chapter 13 Warumpi Province). Brotherton, R.L. and Wilson, P.A. (1990) Bellevue gold deposit. In Geology of the Mineral Deposits of Australia and Papua New Guinea. AusIMM, Melbourne, pg. 319-321. Simpson, E.S. (1948) Minerals of Western Australia. 3 volumes, Govt. Printer. Blatchford, T., Honman, C.S., Simpson, E.S., Farquarson, R.A. (1917) The Geology of the Yilgarn Goldfield and Mineral Resources, Part III, The Gold Belt North of Southern Cross including Westonia. Geological Survey of Western Australia, State Government of Western Australia, Bulletin No. 71. Ucik, F. H. (1998): Der Metadiabas-Bruch der Firma Kogler in Stattenberg, Gemeinde St. Urban im Glantal, Kärnten. Carinthia II, 188./108., 393-410. [var: Thulite] Knobloch, G. (2004): Unverhofft kommt oft - die Entdeckung einer unbekannten kleinen Sphalerit-Lagerstätte im Dunkelsteinerwald, Niederösterreich. Mineralien-Welt, 15 (1), 28-33. DOPPLER, Gerald (2010): Petrogenesis and Geochemistry of selected Corundum (Ruby) Deposits.- Unveröff. Masterarb. Naturwiss. Fak. Karl-Franzens-Univ. Graz, 140 S., Wien. ⓘ Siebenhandl quarry (Kraxnerklippe) ? Löffler, E., Kolitsch, U. & Brandstätter, F. (2011): 1699) Apatit, Chamosit, Diopsid, Epidot, Grossular, Klinozoisit, Meionit, Titanit, gediegen Wismut, Zirkon und weitere Mineralien vom Steinbruch Siebenhandl an der Kraxnerklippe bei Felbring, Waldviertel. Pp. 165-167 in Niedermayr, G. et al. (2011): Neue Mineralfunde aus Österreich LX. Carinthia II, 201./121., 135-186. G. Weissensteiner: Der Karinthin 63:183-186 (1970); Alker, A. (1975): Über die Mineralkluft im Amphibolit von Burgegg, Steiermark. Mitteilungen des naturwissenschaftlichen Vereins für Steiermark 105, 21-24. Aus: Alker, A. (1960) Zur Mineralogie der Steiermark, Ergänzungen und Richtigstellungen, I. Koralpe, Datensammlung. Postl, W. & Bojar, H.-P.
Schäfer, W. (1980): Kraxeln nach Kristallen - Mineralien von der Gösleswand. Mineralien-Magazin, 4 (12), 559-565 (in German). Andreas Amann, Edgar Dachs & Ruth Haas (1984): Blatt 144 Landeck - Bericht 1983 über geologische Aufnahmen in der nördlichen Samnaungruppe auf Blatt 144 Landeck. Jahrbuch der Geologischen Bundesanstalt, 127, 242-243. A. Darimont et al., Bull. Minéral. , 1988, 111, pp. 321-330. Thomson & Fife (1995) Economic Geology: 85: 928-941. - Kuyumjian, R.M., Costa, A.L.L. ; 1999; Geologia, Geoquímica e Mineralizações Auríferas da Seqüência Mina Inglesa, Greenstone Belt de Crixás, Goiás. Arnaudov, V., Petrusenko, S., Stancheva, E., Tadzher, L. (1998): Vanadian pargasite and other vanadium-​bearing amphiboles from the Central Rhodope metamorphic complex. Geokhimiya, Mineralogiya i Petrologiya 35, 69-78 (in Bulgarian). ⓘ Kidd Mine (Kidd Creek Mine) ? Slack, J. F., & Coad, P. R. (1989). Multiple hydrothermal and metamorphic events in the Kidd Creek volcanogenic massive sulphide deposit, Timmins, Ontario: evidence from tourmalines and chlorites. Canadian Journal of Earth Sciences, 26(4), 694-715. T. Tagai et al. , Eur. Journ. Mineral. , 1992, 4, pp. 299-305. Miller, Willet G. (1910): The Cobalt-Nickel Arsenides and Silver Deposits of Temiskaming (Cobalt and Adjacent Areas); Ontario Bureau of Mines, Vol. 19, pt.2, p. 93. Peter Tarassoff Collection. Identification by G.Y. Chao, Carleton University, Ottawa, 1964. Gleeson, C. F. ( 1970) Heavy Mineral Studies In The Klondike Area, Yukon Territory. Geological Survey of Canada, Bulletin 173. [var: Thulite] Héon, D. (2004). The Whitehorse Copper Belt, Yukon. An Annotated Geology Map. Yukon Geological Survey, Open File, 15. [var: Thulite] Héon, D. (2004). The Whitehorse Copper Belt, Yukon. An Annotated Geology Map. Yukon Geological Survey, Open File, 15.; Tenney, D., 1994. The Whitehorse Copper Belt: Mining, Exploration and Geology (1967-1980). Geology Section, Yukon Region, Department of Indian and Northern Affairs, Bulletin 1, 29 p.
Taofa Zhou, Feng Yuan, Shucang Yue, Xiaodong Liu, Xin Zhang, and Yu Fan (2007): Ore Geology Reviews 31, 279-303. Am. Min. , V 87, pp. 875-881, 2002. Li Yiliang, Zheng Yongfei, Gong Bing, and Fu Bin (2000): Science in China, Series D (Earth Sciences), 43(5), 449-457. North China Geological Exploration Bureau, Geological Brigade 514 (2010): Report on the geological investigation of the Donggou iron deposit, Damiao town, Shuangluan District, Chengde Prefecture, Hebei Province, 51 pp. http://www.ngu.no/FileArchive/165/2003_055.pdf Geological Survey of Norway / The Alice Wain Memorial West Norway Eclogite Field Symposium / Abstract Volume p. 33. Yang Jingsui, Xu Zhiqin, Zhang Jianxin, Song Shuguang, Wu Cailai, Shi Rendeng, Li Haibing, Liou, J.G., Ernst, G., and Shigenori Maruyama (2001): UHPM Workshop at Waseda University, AD02, 290-293. Wenyi Xu, Fengchu Pan, Xiaoming Qu, Zengqian Hou, Zhusen Yang, Weishi Chen, Dan Yang, and Yanhe Cui (2009): Ore Geology Reviews (in press). Xing-Wang Xu, Qian Mao, Xian-Hua Li, Franco M. Pirajno, Xun Qu, Gang Deng, Dai-Zhao Chen, Bao-Lin Zhang, Lian-Hui Dong (2014): Copper–zinc albite porphyry in the Hersai porphyry copper deposit, East Junggar, China: A transition between late magmatic and hydrothermal porphyry copper deposit. Ore Geology Reviews, 61, 141-156. Gao Jun, Liu Shengwei, and Zhang Lifei (2000): Chinese Science Bulletin 45(11), 1047-1052. [var: Thulite] Yanling Tang (2005): Non-metallic deposits of Xinjiang, China [Zhongguo Xinjiang Fei Jinshu Kuangchuang]. Geological Publishing House (Beijing), 289 pp. Peng, Z., Watanabe, M., Hoshino, K., Sueoka, S., Yano, T., and Nishido, H. (1998): Mineralogy and Petrology 63, 95-117. Pauliš, P.: Nejzajímavější mineralogická naleziště Čech. Kutná Hora: Kuttna, 2000, s. 27. [var: Thulite] Kruťa, T.: Nerostný výzkum ve Slezsku v roce 1954. Přírodovědecký sborník Ostravského kraje, 1955, roč. 16, č. 1, s. 125-138. [var: Thulite] Kruťa, T.: O nerostech ze Žulové (Frýdberka) ve Slezsku. Časopis Slezského musea, series A: vědy přírodní, 1951, roč. 1, č. 1, s. 33-57. [var: Thulite] Černý, P.: Nerosty amfibolitů na Klatovsku. Časopis pro mineralogii a geologii, 1986, roč. 31, č. 4, s. 435. Černý, P., Litochleb, J., Šrein, V.: Chrom-vanadové granáty z grafitového ložiska Domoradice u Českého Krumlova. Bulletin Mineralogicko-petrografického oddělení Národního muzea v Praze, 1995, roč. 3, s. 205-209. Pauliš, P: Nejzajímavější mineralogická naleziště Moravy a Slezska II. Kutná Hora: Kuttna, 2005, s. 29-30. [var: Thulite] Lis, J., Sylwestrzak, H., 1986. Minerały Dolnego Śląska. Instytut Geologiczny, Wydawnictwa Geologiczne, Warszawa, 791 pp. Bell, Robin-Marie & Kolb, Jochen (2014) Alteration types within the Nalunaq Gold Deposit, South Greenland. 31st Nordic Geological Meeting, Lund Sweden. Kari A. Kinnunen (ed.) (2017). Gemstones of Finland, Geological Survey of Finland, Volume: 98, Special Publications. B; Lasnier : "Persistance d'une série granulitique au coeur du Massif Central Français - Haut-Allier. Les termes basiques, ultrabasiques et carbonatés". Thesis, 1977. Lacroix, A. (1910): Minéralogie de la France et de ses colonies, Librairie Polytechnique, Ch. Béranger Editeur, Tome I, 133. Guitard, G. (2010): Catalogue raisonné de la collection de minéralogie régionale, C.E.R.P. de Tautavel, 103. Guitard, G. (2010): Catalogue raisonné de la collection de minéralogie régionale, C.E.R.P. de Tautavel, 40. Berbain, C., Favreau, G. & Aymar, J. (2005): Mines et minéraux des Pyrénées-Orientales et des Corbières, Association Française de Microminéralogie Ed., 222. Guitard, G. (2010): Catalogue raisonné de la collection de minéralogie régionale, C.E.R.P. de Tautavel, 36. Berbain, C., Favreau, G. & Aymar, J. (2005): Mines et minéraux des Pyrénées-Orientales et des Corbières, Association Française de Microminéralogie Ed., 202-204. Baret, Ch. (1905): Catalogue de la Collection de Minéralogie de la Loire-Inférieure, Muséum de Nantes, 112. LACROIX A: Mineralogie de la France et de ses territoires d'outre-mer 1963 Baret, Ch. (1905): Catalogue de la Collection de Minéralogie de la Loire-Inférieure, Muséum de Nantes, 112. R. Klemd, Contributions to Mineralogy and Petrology, June 1989, Vol. 102, N°2, pp. 221-229. S. Weiß: "Mineralfundstellen, Deutschland West", Weise (Munich), 1990; Habel, M. (2009): Der Granodioritbruch der Fa. Josef Uhrmann OHG, Steinerleinbach bei Röhrnbach. Mineralien-Welt 20 (2), 66-86. Wambeke,L. van (1961). Beobachtungen über die Tonalite des Hilltales und von Lammersdorf und ihre Vererzungen. Aufschluss, Jg.12, Nr.11, S.327-30. Page 330. Melfos, V., Vavelidis, M., Christofides, G. & Seidel, E. (2002): Origin and evolution of the Tertiary Porphyry copper-molybdenum deposit in the Maronia area, Thrace, Greece. Mineralium Deposita, 37, 648–668. [var: Thulite] Reinecke, T. (1986): Crystal chemistry and reaction relations of piemontites and thulites from highly oxidized low grade metamorphic rocks at Vitali, Andros Island, Greece. Contributions to Mineralogy and Petrology 93, 56-76. Mattioli V. (1976): Zoisite di Pizzo Ragno (Val Vigezzo). Notizie Gr. Mineral. Lombardo, 7, 3 (sett. 1976), 68-70; Mattioli V. (1979): Minerali Ossolani. Ed. Arti Grafiche Medesi, Milano, 268 pp. ; Piccoli G.C., Maletto G., Bosio P., Lombardo B. (2007): Minerali del Piemonte e della Valle d'Aosta. Associazione Amici del Museo "F. Eusebio" di Alba, Ed., Alba, 607 pp. ; Boscardin M., Mattioli V., Rocchetti I. (2013): Minerali della Valle Vigezzo. Litotipografia Alcione, Lavis (Trento), 229 pp. Hossfeld, J. (1977) Die Mineralien im Sterzinger Gebiet. Einige Hinweise zu den Fundorten Alpiner Mineralien im Gebiet um Sterzing, Athesiadruck, Brixen, 79 pages. [var: Thulite] De Michele, V. (1974). 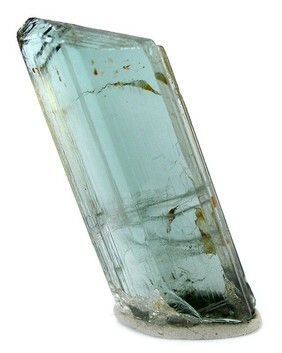 Guida mineralogica d'Italia. Istituto Geografico De Agostini, Novara, 2 vol. Manasse E., 1906. Contribuzioni alla mineralogia della Toscana. Zoisite del Monte Corchia (Alpi Apuane). Atti Soc. Tosc. Sci. Nat., Proc. Verb., 15: 23-24. [var: Thulite] Brizzi G., Meli R., 1996 - I minerali della formazione ofiolitica dell'Impruneta (FI). - Riv. Mineral. Ital., 20 1: 81-98. Brizzi, G., Meli, R., 1989. L'antica miniera di Montecastelli e i minerali delle rocce circostanti. Rivista Mineralogica Italiana, 13 (3): 163-178. [var: Thulite] Brizzi G., Meli R., Olmi F. (1996): I minerali delle ofioliti del Monte Ferrato (Prato). Riv. Mineral. Ital., 20, 4 (4-1996), 217-234. [var: Thulite] Nakamura, Kenji; Shimazaki, Hidehiko (1987): Geology and mineralization of the Nakatenjo ore deposit in the Nakatatsu area - zonal arrangement of skarn and ore minerals. Kozan Chishitsu 37, 237-252. [var: Thulite] Okamoto & Tanaka (1958) Mem. Fac. Sci., Kyushu University, Ser. D, 8, 19-23. Hariya, Yu; Hasegawa, Kiyoshi (1979) Contact Metasomatic Zone and Massive Ore Body in Manganese Epithermal Deposits of the Jokoku Mine, Hokkaido, Japan. Jour. Fac. Sci., Hokkaido Univ., Ser. IV, vol. 19, nos. 1-2, March, 1979, pp. 265-272. Dobrzhinetskaya, L.F., Green, H.W., Bozhilov, K.N., Mitchell, T.E., and Dickerson, R.M. (2003): Journal of Metamorphic Geology 21, 425-437. Dana 6:A2:114; Panczner (1987): 402. [var: Thulite] Service, H. (1937) An Intrusion of Norite and Its Accompanying Contact Metamorphism at Bluff, New Zealand. Transactions of the Royal Society NZ 67: 185-217. [var: Thulite] Thornton, J., Essence of Microscope. Jersek, Miha and Mirtic, Breda (1999) Croundum from prilep Dolomitic marble, Scopolia [Journal of the Slovenian Museum of natural History], v. 41 (September), p 1-22.
ⓘ Breivevatnet Pump Station ? ⓘ E 39 Vinjefjorden ? Geological Survey of Norway. The Ore Database. Deposit Area 709 - 006. Sæteråsen. Wilson, W. (2006): Minerals from Alchuri. Mineralogical Record. 37: 534-536 - Hassan, Muhammad (2007): Mineralogy and geochemistry of the gemstones and the gemstone bearing pegmatites in Shigar Valley of Skardu northern areas of Pakistan. Doctoral thesis, University of Peshawar. - Jang-Green, HyeJin, Laurs, Brendan M., and Shen, Andy H. (2012): Zoisite from Pakistan. Gems & Gemology, Vol. 48, No. 3, page 230. Antoine de Haller (2000) The Raul-Condestable iron oxides-Cu-Au deposit, Lima department, Peru: preliminary results. In Abstract volume and Field trip Guidebook, 2nd annual GEODE-Fennoscandian shield field workshop on Palaeoproterozoic and Archean greenstone belts and VMS districts in the Fennoscandian Shield (Vol. 28). [var: Thulite] DUBIŃSKA E., 1995: Rodingites of the eastern part of Jordanów-Gogołów serpentynite massif, Lower Silesia, Poland. Can. Mineral., 33, 585-608.GALUSKIN E., SZEŁĘG E., 2003: The first finding of Ag-amalgamates in rodingites (Nasławice, Lower Silesia, Poland). Mineralogical Society of Poland - Special Papers, Vol. 22. Kisters, A.F.M., Meyer, F.M., Znamensky, S.E., Seravkin, I.B., Ertl, R.G.W., and Kosarev, A.M. (2000): Mineralium Deposita 35, 157-168. Negrutsa, V.Z., Polekhovskii, Y.S., Petrovskii, M.N., and Tarasova, I.P. (2000): Lithology and Mineral Resources 35(2), 131-140. Cairncross, B. (1991): The Messina Mining District, South Africa. Mineralogical Record 22(3) 187-199; Cairncross, B. and Dixon, R., (1995) Minerals of South Africa. The Geological Society of South Africa. J.I. Gil Ibarguchi, Eur. Journ. Mineral. , 1995, 7, pp. 403-415. Nils F. Jansson, Rodney L. Allen (2013): Timing and setting of skarn and iron oxide formation at the Smältarmossen calcic iron skarn deposit, Bergslagen, Sweden. Mineralium Deposita 48, 313-339. Hamberg, A. (1910) Gesteine und Tektonik des Sarekgebirges nebst einem Überblick der skandinavischen Gebirgskette. Geologiska Föreningen i Stockholm Förhandlingar, 32: 681-724 (p. 695). Henriques, Å. (1964): Geology and Ores of the Åmmeberg District (Zinkgruvan), Sweden. Arkiv för mineralogi och geologi, 4 (1). Almqvist & Wiksell. 246 pages + 3 plates. - Aleva, G.J.J. ; 1950, Geology and petrology of the Gabbi-Mesket Region, Swedisch Lappland. Academisch Proefschrift, Universiteit van Amsterdam. Mulder, C.J. ; 1951, Geology and petrology of the region between lake Överuman and lake Tärnasjön, Southern Swedish Lapland. - Krähenbühl H. (1985): Der Bergbau im Bündner Oberland: Die Erzgruben von Obersaxen und Val Schmuer. Bergknappe 33, 2-9. [var: Thulite] Stalder, H. A., Wagner, A., Graeser, S. and Stuker, P. (1998): "Mineralienlexikon der Schweiz", Wepf (Basel), p. 152.; Weiß S., Gnos E., Schnyder C. (2015): Anhydrit, Molybdänit und "Thulit": Neufunde aus Linescio, Schweiz. Lapis, 49, H. 11, 26-29. - Trommsdorf, V. (1968); Mineralreaktionen mit Wollastonit und Vesuvian in einem Kalksilikatfels der alpinen Disthenzone (Claro, Tessin), Schweizerische Mineralogische und Petrographische Mitteilungen: 48: 655-666 (in German). ; Trommsdorf, V. (1968); Mineralreaktionen mit Wollastonit und Vesuvian in einem Kalksilikatfels der alpinen Disthenzone (Claro, Tessin), Schweizerische Mineralogische und Petrographische Mitteilungen: 48: 655-666 (in German). Stalder, H. A., Wagner, A., Graeser, S. and Stuker, P. (1998): "Mineralienlexikon der Schweiz", Wepf (Basel), p. 310. Keller L.M., Schmid S.M. (2001): On the kinematics of shearing near the top of the Monte Rosa nappe and the nature of the Furgg zone in Val Loranco (Antrona valley, N. Italy): tectonometamorphic and paleogeographical consequences. Schweiz. Mineral. Petrogr. Mitt., 81, 347-367. Hintze, J. (2010): Safari ndjema - Afrikanisches Tagebuch (II): Rubin in Zoisit - ein Klassiker aus Longido in Tansania. Lapis 35 (12), 15-19 (in German); Yang, Xiao-wen; Zhang, Liang-ju; Jia, Zong-yong (2012): Mineral composition characters and prospect of Longido red corundum deposit in Tanzania. Guilin Ligong Daxue Xuebao 32, 173-178 (in Chinese). Hintze, J. (2010): Safari ndjema - Afrikanisches Tagebuch (II): Rubin in Zoisit - ein Klassiker aus Longido in Tansania. Lapis 35 (12), 15-19 (in German) - Simonet, Cedric (2000): Geology of Sapphire and Ruby Deposits -The example of the John Saul Ruby Mine, Mangare area, Southern Kenya. PhD Thesis, University of Nantes. 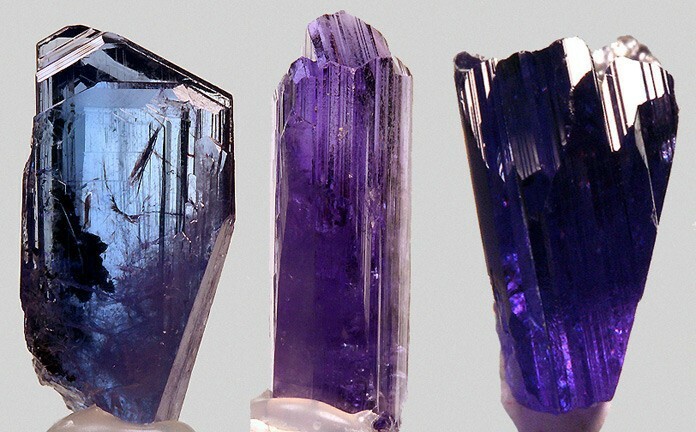 [var: Tanzanite] Wilson, W.E., Saul, J.M. Pardieu, V. & Hughes R.W. (2009): Famous Mineral Localities. The Merelani Tanzanite Mines, Lelatema Mountains, Arusha Region, Tanzania. 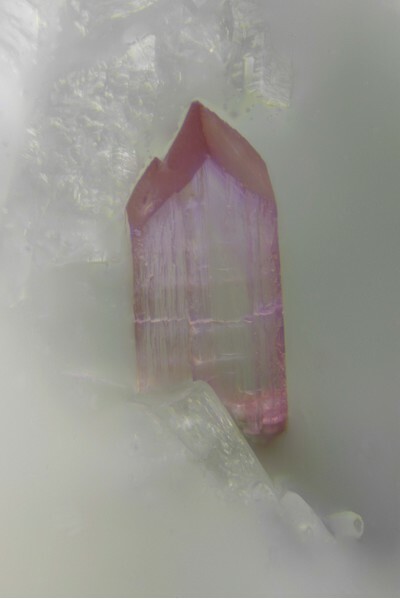 Mineralogical Record, 40: 347-408. [var: Tanzanite] Olivier, Bernard (2008): The geology and petrology of the Merelani tanzanite deposit, NE Tanzania. Doctoral thesis, University of Stellenbosch, South Africa. [var: Tanzanite] Natural HistoryMuseum of Los Angeles Co.specimen catalogue No. 41249. Suthakorn, P. (1992, November). The distribution of tin and associated minerals in Thailand. In Proc. of the national conference on “Geologic resources of Thailand: Potential for future development (pp. 17-24). Bloxam, T.W. and Allen, J.B. (1960) Glaucophane-schist, eclogite and associated rocks from Knockormal in the Girvan–Ballantrae Complex, south Ayrshire. Transactions of the Royal Society of Edinburgh, 64, 1–27. ; White, A.J.R. (1964) Clinopyroxenes from eclogites and basic granulites. American Mineralogist, vol. 49, 883-888. Sargent, H.C., 1925. Notes on the petrology of the Penmaenmawr Intrusion (Part II). Proceedings of the Liverpool Geological Society, 14, 123-142. Anthony, J.W., et al (1995), Mineralogy of Arizona, 3rd.ed. : 432; Dale, V.B., et al (1960), Tungsten deposits of Cochise, Pima, and Santa Cruz Cos., AZ, US Bur. Mines Rept. Inv. 5650. Gilluly, J. (1956), USGS PP 281: 81. Gilluly, J. (1956), General geology of central Cochise Co., AZ, USGS PP 281: 82. Anthony, J.W., et al (1995), Mineralogy of Arizona, 3rd.ed. : 225; Cooper, J.R. (1957), Metamorphism and volume losses in carbonate rocks near Johnson Camp, Cochise Co., AZ, Geol. Soc. Amer. Bull. : 68: 577-610. [var: Thulite] Anthony, J.W., et al (1995), Mineralogy of Arizona, 3rd.ed. : 432; Cooper, J.R. & L.T. Silver (1964), Geology and ore deposits of the Dragoon quadrangle, Cochise Co., AZ, USGS PP 416: 165-168; Cooper, J.R. (1957), Metamorphism and volume losses in carbonate rocks near Johnson Camp, Cochise Co., AZ, Geol. Soc. Amer. Bull. : 68: 577-610. MRDS database Dep. ID file #10039391, MRDS ID #M050018. Anthony, J.W., et al (1995), Mineralogy of Arizona, 3rd.ed. : 432; Schwartz, G.M. (1956), Argillic alteration and ore deposits, Econ.Geol. : 51: 407-414. Anthony, J.W., et al (1995), Mineralogy of Arizona, 3rd.ed. : 432; Butler, B.S., et al (1938b), Geology and ore deposits of the Tombstone district, AZ, AZ Bur. Mines Bull. 143. [var: Thulite] Anthony, J.W., et al (1995), Mineralogy of Arizona, 3rd.ed. : 432; Perry, D.V. (1969), Skarn genesis at the Christmas mine, Gila Co., AZ, Econ.Geol. : 64: 255-270. [var: Thulite] Anthony, J.W., et al (1995), Mineralogy of Arizona, 3rd.ed. : 432. Anthony, J.W., et al (1995), Mineralogy of Arizona, 3rd.ed. : 432; Reber, L.E., Jr. (1916), The mineralization at Clifton-Morenci, Econ.Geol. : 11: 528-573. Anthony, J.W., et al (1995), Mineralogy of Arizona, 3rd.ed. : 432; Galbraith, F.W. & D.J. Brennan (1959), Minerals of AZ: 99. Anthony, J.W., et al (1995), Mineralogy of Arizona, 3rd.ed. : 225. Anthony, J.W., et al (1995), Mineralogy of Arizona, 3rd.ed. : 432; Thomas, B.E. (1949), Ore deposits of the Wallapai district, AZ, Econ.Geol. : 44:663-705. Keith, Stanton B. (1974), AZ Bur. of Geol. & Min. Technology, Geol. Survey Br. Bull. 189, Index of Mining Properties in Pima County, AZ: 108 (Table 4); Dale, et al (1960): 70. Keith, Stanton B. (1974), AZ Bur. of Geol. & Min. Technology, Geol. Survey Br. Bull. 189, Index of Mining Properties in Pima County, AZ: 108 (Table 4); Dale, et al (1960): 78-81. Anthony, J.W., et al (1995), Mineralogy of Arizona, 3rd.ed. : 432. Anthony, J.W., et al (1995), Mineralogy of Arizona, 3rd.ed. : 215; Lowell, J.D. (1968), Geology of the Kalamazoo orebody, San Manuel district, AZ, Econ.Geol. : 63: 645-654; Schwartz, G.M. (1947), Hydrothermal alteration in the 'porphyry copper' deposits, Econ.Geol. : 42, 319-352; Creasey, S.C. (1959), Some phase relations in the hydrothermally altered rocks of porphyry copper deposits, Econ.Geol. : 54: 351-373. Anthony, J.W., et al (1995), Mineralogy of Arizona, 3rd.ed. : 215. USGS (2005), Mineral Resources Data System (MRDS): U.S. Geological Survey, Reston, Virginia, loc. file ID #10076644. [var: Thulite] McAllister, James Franklin (1955), Geology of mineral deposits in the Ubehebe Peak quadrangle, Inyo County, California. California Division Mines, Special Report 42, 63 pp. : 48, 63; Pemberton, H. Earl (1983), Minerals of California; Van Nostrand Reinholt Press: 480. [var: Thulite] Murdoch, Joseph & Robert W. Webb (1936), Bustamite from Inyo County, California: American Mineralogist: 21: 69-70; Schaller, Waldemar Theodore & Jewell Jeannette Glass (1942), Occurrence of pink zoisite (thulite) in the United States: American Mineralogist: 27: 519-524; McAllister, James Franklin (1955), Geology of mineral deposits in the Ubehebe Peak quadrangle, Inyo County, California. California Division Mines, Special Report 42, 63 pp. : 63; Murdoch, Joseph & Robert W. Webb (1966), Minerals of California, Centennial Volume (1866-1966): California Division Mines & Geology Bulletin 189: 393. Hulin, Carlton D. (1925), Geology and ore deposits of the Randsburg quadrangle, California: California Mining Bureau. Bulletin 95, 152 pp: 25; Strong, Mary Frances Berkholz (1963), Minerals in the Rand district: Gems & Minerals, No. 308: 21-22, May 1963: 21; Murdoch, Joseph & Robert W. Webb (1966), Minerals of California, Centennial Volume (1866-1966): California Division Mines & Geology Bulletin 189: 393. Troxel, Bennie Wyatt & P.K. Morton (1962), Mines and mineral resources of Kern County, California: California Division Mines & Geology County Report No. 1, 370 pp. : 294; Murdoch, Joseph & Robert W. Webb (1966), Minerals of California, Centennial Volume (1866-1966): California Division Mines & Geology Bulletin 189: 393. Wiese, J.H. & L.R. Page (1946), Tin deposits of the Gorman district, Kern County, California: California Division Mines Report 42: 42(1): 39; Pemberton, H. Earl (1983), Minerals of California; Van Nostrand Reinholt Press: 481. Temple, A.K. (1966) Zoisite-rutile rock from Los Angeles County, California. American Mineralogist: 51: 1028, 1031; Pemberton, H. Earl (1983), Minerals of California; Van Nostrand Reinholt Press: 169, 481. Bailey, Edgar H. (1941a), Mineralogy, petrology and geology of Santa Catalina Island, California: Unpublished Ph.D. dissertation, Stanford University: 11; Pemberton, H. Earl (1983), Minerals of California; Van Nostrand Reinholt Press: 482. Neuerberg, George Joseph (1951), Minerals of the eastern Santa Monica Mountains, Los Angeles city: American Mineralogist: 36: 160; Pemberton, H. Earl (1983), Minerals of California; Van Nostrand Reinholt Press: 482. Neuerberg, George Joseph (1951), Minerals of the eastern Santa Monica Mountains, Los Angeles city: American Mineralogist: 36: 160; Pemberton, H. Earl (1983), Minerals of California: 482. [var: Thulite] Kerr, Paul Francis (1946), Tungsten mineralization in the United States Geological Society of America Memorandum 15, 241 pp. : 159; Murdoch, Joseph & Robert W. Webb (1966), Minerals of California, Centennial Volume (1866-1966): California Division Mines & Geology Bulletin 189: 393. Turner, Henry Ward (1896), Further contributions to the geology of the Sierra Nevada: USGS, 17th. Annual Report, part 1: 590; Murdoch, Joseph & Robert W. Webb (1966), Minerals of California, Centennial Volume (1866-1966): California Division Mines & Geology Bulletin 189: 393. [var: Thulite] Woodford, A.O., Crippen, R.A., and Garner, K.B. (1941) Section Across Commercial Quarry, Crestmorre, California. American Mineralogist: 26: 368. [var: Thulite] Cooney, R.L. (1956), The mineralogy of the Jensen and Henshaw quarries near Riverside, California: Unpublished Master’s thesis, University of California at Los Angeles; Pemberton, H. Earl (1983), Minerals of California; Van Nostrand Reinholt Press: 483; Devito, F. and Ordway, A. (1984), The Jensen Quarry, Riverside County, California. Mineralogical Record: 15(5): 273-290. [var: Thulite] Alfredo Petrov specimens (PXRD pattern = zoisite). Cooney, R.L. (1956), The mineralogy of the Jensen and Henshaw quarries near Riverside, California: Unpublished Master’s thesis, University of California at Los Angeles: 20-21, 28-29, 40; Pemberton, H. Earl (1983), Minerals of California; Van Nostrand Reinholt Press: 484. Woodford, A.O. (1925), The San Onofre breccia; its nature and origin: University of California, Department of Geological Sciences Bulletin 15: 193; Pemberton, H. Earl (1983), Minerals of California; Van Nostrand Reinholt Press: 484, 488. Switzer, George S. (1951b) Mineralogy of the California glaucophane schists. California Division of Mines and Geology Bulletin 161: 59; Pemberton, H. Earl (1983), Minerals of California; Van Nostrand Reinholt Press: 484. Murdoch, Joseph & Robert W. Webb (1966), Minerals of California, Centennial Volume (1866-1966): California Division Mines & Geology Bulletin 189: 393; Pemberton, H. Earl (1983), Minerals of California; Van Nostrand Reinholt Press: 484. Knopf, Adolf (1929), The Mother Lode system of California: USGS PP 157, 88 pp. : 20; Pemberton, H. Earl (1983), Minerals of California; Van Nostrand Reinholt Press: 484. [var: Thulite] U.S. Geological Survey, 2005, Mineral Resources Data System: U.S. Geological Survey, Reston, Virginia. [var: Thulite] Foord, E. E., & Shawe, D. R. (1989). The Pb-Bi-Ag-Cu-(Hg) Chemistry Of Galena And Some Associated Sulfosalts: A Reviewand Some New Data From Colorado, California And Pennsylvania. Canadian Mineralogist, 27, 363-382. Weber, Marcelle H. and Earle C. Sullivan. (1995): Connecticut Mineral Locality Index. Rocks & Minerals (Connecticut Issue): 70 (6): 396; Januzzi, Ronald E. (1994), Mineral Data Book - Western Connecticut and Environs. The Mineralogical Press, Danbury, Connecticut. Januzzi, Ronald E. (1994): Mineral Data Book - Western Connecticut and Environs. Mineralogical Press, Danbury, Connecticut. [var: Thulite] Januzzi, Ronald E. (1976), Mineral Localities of Connecticut and Southeastern New York State. Taylor Assoc./Mineralogical Press, Danbury, Connecticut. ; Weber, Marcelle H. and Earle C. Sullivan. (1995): Connecticut Mineral Locality Index. Rocks & Minerals (Connecticut Issue): 70(6): 398.
ⓘ State Route 8 ? [var: Thulite] Foye, Wilbur G. (1926): The occurrence of thulite at Haddam, Connecticut. American Mineralogist: 11: 210. Hietanen, Anna, 1959, Kyanite-Garnet Gedritite near Orofino, Idaho, American Mineralogist, 44: 539-564. [var: Thulite] Minerals of Maryland (1940) Ostrander & Price; Minerals of maryland (1940) Ostrander & Price, JR.
Dana, 1854. A System of Mineralogy, 4th ed. Emerson, B.K. Geology of Massachusetts and Rhode Island, 1917. (USGS Bulletin 597), p.216-217. ; Van Gosen, Bradley S. (2005) Reported historic asbestos mines, historic asbestos prospects, and natural asbestos occurrences in the eastern United States. USGS Open-File Report 2005-1189. [var: Thulite] Gibson, R.I., 2017, Geology and mineralogy of the eastern margin of the Butte Pluton, Montana: Proceedings, Montana Mining and Mineral Symposium 2017, Montana Bureau of Mines and Geology, in press. Meyers & Stewart (1956). The Geology of NH: Part III Minerals and Mines. p.85-86; Rocks & Min. : 17:136-139. Frondel, Clifford (1972) The Minerals of Franklin and Sterling Hill. A Check List. "Eighteenth Annual Field Conference of Pennsylvania Geologists - Sussex County, New Jersey" by Paul MacClintock, Charles Milton, Henry Harpers, and Meredith E. Johnson. ; Milton, Charles (1947) Diabase Dikes of the Franklin Furnace; New Jersey Quadrangle, Journal of Geology, v 55, p. 522-526. [var: Thulite] Minerals of New Mexico 3rd ed. NY State Museum Bull. Nos. 249-250, Magnetic Iron Deposits of SE NY, Clarke, John M. (Sep-Oct 1921): 98. The Minerals of New York City & Its Environs, New York Mineralogical Club Bull., Vol. 3, No. 1, Manchester, J.G. (1931): 69; NY State Museum Bull. Nos. 249-250, Magnetic Iron Deposits of SE NY, Clarke, John M. (Sep-Oct 1921): 117. The Minerals of New York City & Its Environs, New York Mineralogical Club Bull. Vol. 3, No. 1, Manchester, J.G. (1931): 91. New York State Museum Bulletin No. 199, Alling, Harold L. (July, 1917), The Adirondack Graphite Deposits: 78. [var: Thulite] Dana 6:515,620 & 892; Dana 7:II:986. [var: Thulite] Dana 6:1077; Rocks & Min.:60:92. [var: Thulite] Richard C. Erd, U.S. Geological Survey, 1995, unpublished. [var: Thulite] Lesure, F.G. (1968) Mica deposits of the Blue Ridge in North Carolina. USGS Professional Paper 577, 124 pages. ⓘ Fanny Gouge Mine (Spruce Pine Mica Company No. 10 Mine) ? [var: Thulite] Rocks & Min. : 60:99. Oregon Metal Mines Handbook, 1943, Oregon Department of Geology and Mineral Industries: Bulletin No. 14-C, Vol. 2, Section 2 - Jackson Co., page 53. Oregon Metal Mines Handbook, 1943, Oregon Department of Geology and Mineral Industries: Bulletin No. 14-C, Vol. 2, Section 2 - Jackson Co., page 133. Oregon Metal Mines Handbook, 1943, Oregon Department of Geology and Mineral Industries: Bulletin No. 14-C, Vol. 2, Section 1 - Josephine Co., 2nd Edition, pages 17-24. [var: Thulite] Rocks & Min.:59:109-120. Ref. : Gordon, S.G. (1922) "The Mineralogy of Pennsylvania," Special Publication No. 1, The Academy of Natural Sciences of Philadelphia: p. 125. The Mineral Collector, Vol. 3, No. 11. pg. 170 (January 1897). Mineralogy of Pennsylvania, S. G. Gordon - 1922, p. 226. [var: Thulite] Miller, 1972. Minerals of Rhode Island. ⓘ Old Marble quarry ? Mineralogical Magazine 1979 43 : 479-482. [var: Thulite] Rocks & Min. : 60:165. [var: Thulite] Rocks & Min. : 60: 165. `Inventory of Washington Minerals, Part II, Metalic Minerals, Vol. 1; M. Huntting, 1956; Minerals of Washington, B. Cannon, 1975; Metal Mines of Washington-Preliminary Report; R. Derkey, N. Joseph, R. Lasmanis, 1990.
ⓘ Roosevelt Mine (Grant Mine; Maclean Mine; Teddy Roosevelt Mine) ? Vetter, U., Weck, H.-D., Weale, T., Klosa, D., Wittich, C. and Hoffmann, K. (1999): A provisional inventory of the Sanyati oxide-zone minerals, Zimbabwe. 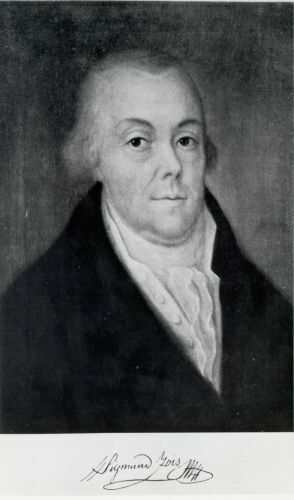 Z. Angew. Geol. 45, 15-21.